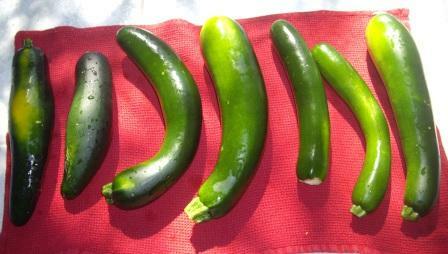 S-S asked me to check on the zucchinis in our little garden today. Lucky I did. Look at this week’s crop! The largest is about 30 cm long. I grow them because I can and they have beautiful showy yellow blooms. Now if only I liked zucchini.